Become a Licensed Esthetician, Nail Technician or Massage Therapist and enjoy a career in the Beauty and Wellness Industry. 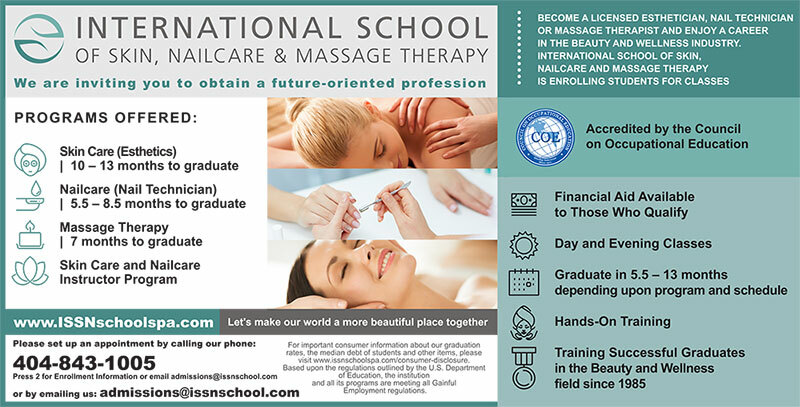 International School of Skin, Nailcare and Massage Therapy is enrolling students for classes. For important consumer information about our graduation rates, the median debt of students and other items, please visit www.issnschoolspa.com/consumer-disclosure. Based upon the regulations outlined by the U.S. Department of Education, the institution and all its programs are meeting all Gainful Employment regulations.